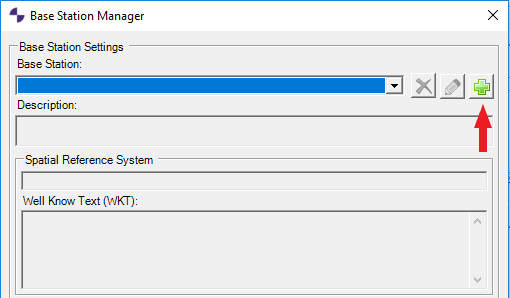 Base Station Manager was added to ASPSuite in version 2019.1. It allows the user to store a base station coordinate for use with later projects. 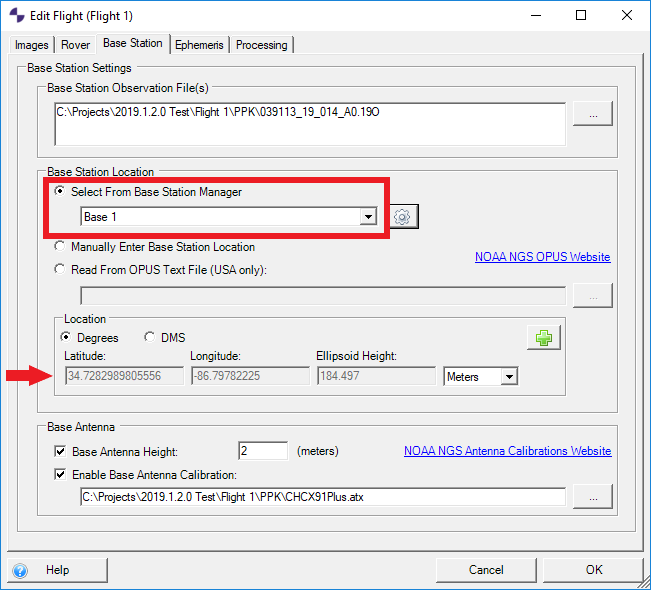 The following steps describe the process for storing a base coordinate from the base station dialog (step 4 of 6) when creating a new project, or the base station tab when editing a flight. For the Base Station Location choose Select From Base Station Manager and click the gear icon to the right to open the Base Station Manager Dialog. Once open, click the green plus sign to add a new base station. Give the point a name and description. 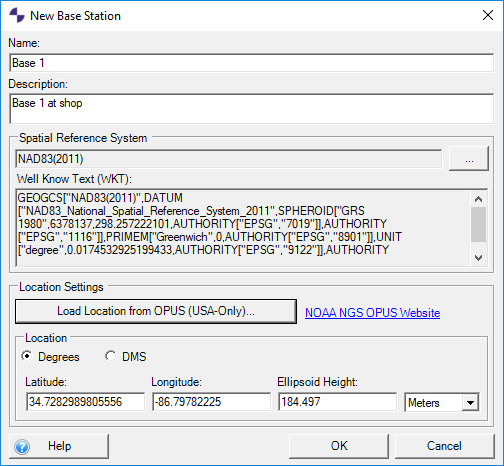 Select the Spatial reference system of the base coordinate. Enter the Latitude, Longitude, and ellipsoid elevation. A coordinate can also be imported from an OPUS text file. Click OK to close the New Base Dialog and go back to the Base Station Manager. From the Base Station Manager dialog, you can edit an existing point by selecting the point in the drop down menu and clicking the pencil icon. You can delete a point by selecting it in the drop down menu and clicking the red X icon. When done, click OK to close the Base Station Manager dialog and return to the Base Station Setting dialog. You can now choose from your list of stored base coordinates by selecting the drop down arrow and selecting the coordinate you wish to use for processing. This entry was posted in AirGon Tools, Tips and Workflows and tagged base station manager.